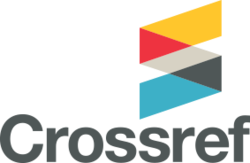 PRAVO publishing house is an official member of Crossref – the association of scholarly publishers that develops shared infrastructure to support more effective scholarly communications. Crossref’s general purpose is to promote the development and cooperative use of new and innovative technologies to speed and facilitate scholarly research. Crossref’s specific mandate is to be the citation linking backbone for all scholarly information in electronic form. Crossref is a collaborative reference linking service that functions as a sort of digital switchboard. It holds no full text content, but rather effects linkages through Crossref Digital Object Identifiers (Crossref DOI), which are tagged to article metadata supplied by the participating publishers. The end result is an efficient, scalable linking system through which a researcher can click on a reference citation in a journal and access the cited article. Index Copernicus International is an international academic database that provides indexing, ranking and referencing of journals, and serves as a platform for scientific collaboration and joint research projects. The Copernicus Journals Master List now contains over 13,000 journals from around the world and from all fields of science. Google Scholar is a freely accessible web search engine that indexes the full text or metadata of scholarly literature across an array of publishing formats and disciplines. Google Scholar index includes most peer-reviewed online journals of Europe and America’s largest scholarly publishers. This product provides the citation indexing features. Researchers estimated that the Goggle Scholar index covers approximately 160 million documents. CEEOL is a leading provider of academic e-journals and e-books in the Humanities and Social Sciences from and about Central and Eastern Europe. Currently, over 600 publishers entrust CEEOL with their high-quality journals and e-books. CEEOL provides scholars, researchers and students with access to a wide range of academic content in a constantly growing, dynamic repository. Currently, CEEOL covers more than 1.100 journals and 350.000 articles. subscription catalog of American publishing Bowker, is the largest database that describes the global flow of periodicals in all subject areas. Polish Scientific Bibliography is a portal of the Ministry of Science and Higher Education gathering information about publications of Polish scientists, publications of scientific units and on Polish and foreign magazines. It is part of the Integrated Information System on Science and Higher Education POL-on.Systems PBN and POL-index are administered by the Information Processing Center – National Research Institute. Producer of Scientific Periodicals of Ukraine (SPU VNLU) is Vernadsky National Library of Ukraine. SPU VNLU contains articles from international journals in all fields of knowledge and carries out the completion of full-text electronic information resources, electronic counterparts’ publications or electronic publications provided by the owners. As part of an information resource “Scientific Periodicals of Ukraine” is adjusted full-text search of scientific publications in PDF format. VNLU spent working on the integration of information resource “Scientific Periodicals of Ukraine” to the interface of analytical services, Google Scholar (Google Academy). It contains approximately 2520 – journals; 25372 – issues; 628524 – full texts of articles.